My brother was visiting for Valentine’s Day and we were having dinner at home. 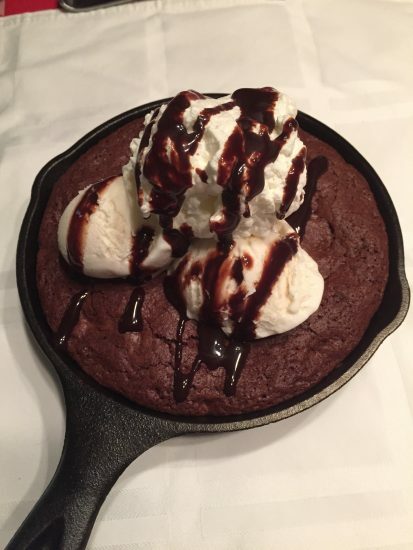 Valentine’s Day, of course, calls for a chocolate dessert of some kind and these double chocolate brownie skillets fit the bill for recipe number 6 in the 52 week new recipe challenge. This recipe was adapted from a Barefoot Contessa recipe….